Sherrill was a well-known active volunteer in countless LCF community organizations. Born in Hackensack, New Jersey, she grew up in nearby Rutherford. After numerous family transfers around New York, Mobil Oil offered husband Jim an opportunity to move to the Los Angeles area in 1969, and the family settled in LCF. Sherrill and Jim immediately began volunteering and helping out in the LCF community. Sherrill quickly became president of the Newcomers Club. Sherrill and Jim joined the La Cañada High School Boosters Club and were integral in the building of the two snack bars at the LCHS football stadium. Soon after receiving the coveted Coordinating Council Les Tupper Award in 1977, Sherrill was hired as the secretary to the principal at LCHS, where many former students remember her best. In her tenure there, she served under seven different principals, retiring in 1996 after 18 years. She continued to work part-time for the school district and remained the go-to person for school-related tasks for many years. Sherrill’s list of awards and recognitions culminated in the Kiwanis Club naming her La Cañadan of the Year in 2004. She was also president of La Cañada Valley Beautiful, Newcomers and LCHS PTSA. She was the secretary of the Bond Oversight Committee for LCUSD, the Spastic Children’s League and on the board of Lanterman House. She was a sustaining Assistance League member and was a founding and charter member of the La Cañada Tournament of Roses Association. She was given the Kiwanis Tablet of Honor Award and distinguished Kiwanian Award, a Golden Apple Award from LCUSD and the Honorary Service and Golden Oak Service Awards from the PTA. Following her husband Jim’s heart transplant in 1998, she became a member of the Legacy One organ donor organization. 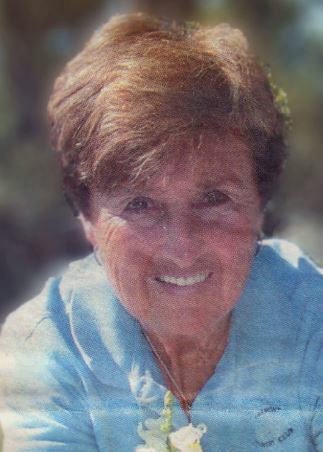 Sherrill was active in the Kiwanis A.M. club, Oakmont CC and LCF Tournament of Roses Association up until her stroke. Predeceased by husband Jim in 2012, Sherrill leaves behind nine grandchildren and four great-grandchildren from her four children: Gordon “Chip” Carbonetti (Loretta) of Bellevue, Washington, LCHS Class of 1973; Lori Jefferson (Buddy) of West Columbia, South Carolina, LCHS Class of 1975; Jim Carbonetti Jr. (Taylor) of LCF, LCHS Class of 1978; and Sharon Morey (Mike) of Glendora, LCHS Class of 1981. A community remembrance followed by refreshments will be held at 10 a.m. Saturday, May 4, at the La Cañada Presbyterian Church, 626 Foothill Blvd. In lieu of flowers the family suggests donations can be made to the Alzheimer’s Foundation of America: 322 8th Ave. 7th Floor, New York, NY 10001. Donations can also be made to the LCF Educational Foundation, P.O. Box 869, La Cañada, CA 91012.